I was the head drum instructor for 7 years. The Texas Private School Music Educators Association, founded in 1992, is an organization of over 200 private school music educators dedicated to promoting excellence in music education. TPSMEA is comprised of four divisions: Band, Orchestra, Vocal, and Elementary. 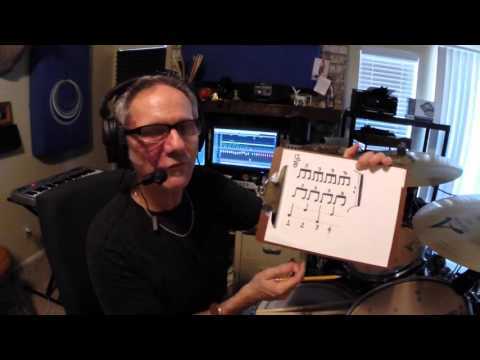 Sample lesson Shuffle drum beat. Learning music is a great way to build self confidence! Phil is excellent! He's patient, his instructions are clear, and he's set reasonable goals & expectations. I will definitely continue lessons with Phil and highly recommend him! Phil is easily the best drum teacher I've had. He is very good at adapting his teaching style to fit the student and helping them to advance quickly. One big thing that I really enjoyed while working with him was how he helped me to expand my skills in all styles of music and not just rock. Phil is a great teacher who really cares about helping his students to progress. I'm no drummer because anyone who knows music also knows that solid, professional drummers, such as Phil, are multifaceted and extremely talented people. I have had the great honor to have Phil record drums for several of my tracks and I couldn't have been happier with his performances. I've always enjoyed hearing his final take because he has the ability to tap into any piece of music and bring it completely to life in a manner that any songwriter or recording artist will definitely appreciate. Phil is dedicated to making music the very best it can be. With that being said, while I've never been a drum student, I can only imagine the care and complete attention to detail this gifted individual would take in passing on the things he's learned to a future drummer. In a word, "Amazing!" Phil is top notch among drummers and musicians! One of the very best I've had the pleasure of working with. After so many years playing drums in bands, studios, touring, teaching etc... Phil has become the consummate professional. He has the skill set to demonstrate just about any style but more importantly, the patience and maturity to teach the beginner or help the seasoned drummer get to the next level. Whether you need lessons for the young drummer in your family, or want real drum tracks for your recording, Phil has the kind of experience, commitment and passion for drumming and percussion to help in most any situation. I highly recommend Phil Dalmolin. I've known Phil for 25 years and he was my drum teacher. He's thorough, detailed oriented, patient & courteous. If you have a beat you want to learn, just tell him what it is and he'll break it down into something simply enough to learn and then he'll show it to you in pieces so that you'll be able to grasp and then apply to the stage. You won't find a teacher that will take your talent any more serious, than Phil !!! He's the best!!!!!!! !